Reclaimed lands at Cordero Rojo mine are restored to grazing and wildlife use concurrent with mining activities. Cloud Peak Energy recently provided an update on its award-winning reclamation and environmental programs for its surface mining operations. The company’s Cordero Rojo mine, located in northeastern Wyoming, recently received approval for final, phase three bond release on more than 900 acres of permanently reclaimed land from the Wyoming Department of Environmental Quality. Cloud Peak Energy currently has more than 10,000 acres being reclaimed across its three mines to a condition as good as, or better than, pre-mining in compliance with rigorous federal and state standards. In Wyoming, there are three phases of reclamation bond release that take many years to complete. Lands must be reclaimed for a minimum of 10 years before the third and final bond release can be granted. To achieve final bond release, Cordero Rojo’s reclaimed lands were restored to grazing and wildlife uses and have been actively grazed in partnership with adjacent landowners. The bond release process is extensive, requiring the successful completion of a number of verifications such as topography, water quality, soils suitability, vegetation quality and diversity, and wildlife use. Attaining final bond release is the ultimate demonstration of successful completion of land rehabilitation requirements. Headquartered in Wyoming, Cloud Peak Energy mines low-sulfur, subbituminous coal from three surface coal mines in the Powder River Basin (PRB). The Antelope and Cordero Rojo mines are located in Wyoming, and the Spring Creek mine is located in Montana. 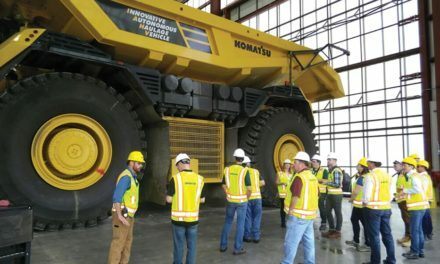 In 2013, the company shipped 86 million tons from its mines to customers located throughout the U.S. and around the world. Cloud Peak Energy also owns rights to substantial undeveloped coal and complimentary surface assets in the northern PRB. With approximately 1,700 total employees, the company is widely recognized for its exemplary performance in its safety and environmental programs. In July, it received national recognition for its reclamation program. Post-treatment vegetation stand on Antelope mine reclamation following cheatgrass control; note Indian ricegrass in the foreground, a preferred feed for cattle, horses and elk in all seasons. The Antelope mine, located in northeastern Wyoming, received the 2014 Excellence in Surface Coal Mining Reclamation Award from the U.S. Department of the Interior’s Office of Surface Mining Reclamation and Enforcement. In 2013, Antelope Mine sold approximately 31.4 million tons of coal, making it the fourth-largest coal mine in the U.S. last year. Through innovative husbandry practices and custom seeding techniques, Antelope mine has effectively restored reclamation areas dominated by cheatgrass. This technology is applicable to both reclaimed and native lands. Antelope mine has successfully transformed more than 400 acres of cheatgrass-dominated lands into sustainable native perennial stands that achieve the post-mining land use goal of providing for livestock grazing and wildlife use. Cheatgrass is not very palatable for domestic livestock and wildlife, reduces habitat value, and has a preference for establishment on disturbed sites. Cheatgrass has infested an estimated 50 to 53 million acres on the western landscape and has made it a challenge to achieve consistent native grass-dominated communities on disturbed land surfaces. The husbandry practice that has been developed at the Antelope mine uses an implement specifically designed by Antelope to mechanically remove cheatgrass, stimulate establishment of existing perennial species, and develop a diverse, native-plant community without the risk and ecological setbacks that herbicides, re-farming, and prescribed burning pose. The resulting plant community and successional process is sustainable and able to achieve bond release. The Woolly Twinpod, after successful establishment at Spring Creek mine on select reclaimed areas. 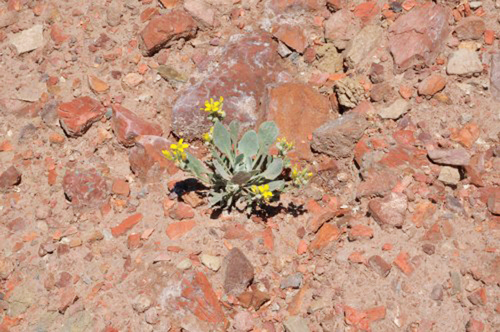 Reclamation stands established with sustainable native-plant communities create a diverse landscape and improve habitat for elk, mule deer, and antelope. Long-term benefits also include the means to improve habitat for sage-grouse and sharp-tailed grouse. 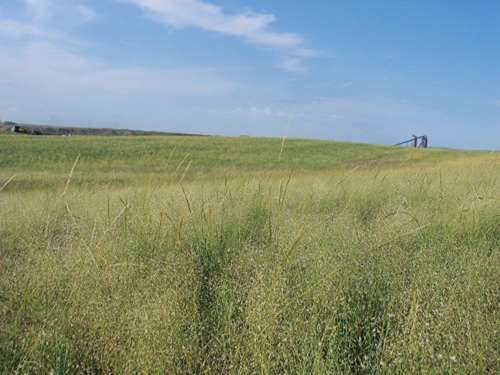 The reclamation efforts at the Antelope mine demonstrate Cloud Peak Energy’s voluntary commitment to enhance the science of reclamation and improve biodiversity. High-quality land reclamation has been successfully completed on approximately 4,050 acres. In June 2013, Antelope mine received the prestigious State of Wyoming Reclamation Award from the Wyoming Department of Environmental Quality, Land Quality Division also for its techniques to prevent cheatgrass. Antelope mine reclamation experts have worked with the Bureau of Land Management, the U.S. Fish and Wildlife Service, industry groups, and others to share best practices for reclamation.